On October 14th, south Florida juniors competed at the Drive, Chip and Putt Regional Qualifier at TPC Sawgrass. One qualifier in each age division advanced to the Drive, Chip and Putt Championship Finals on April 1, 2018 at Augusta National Golf Club on the eve of the 2018 Masters. 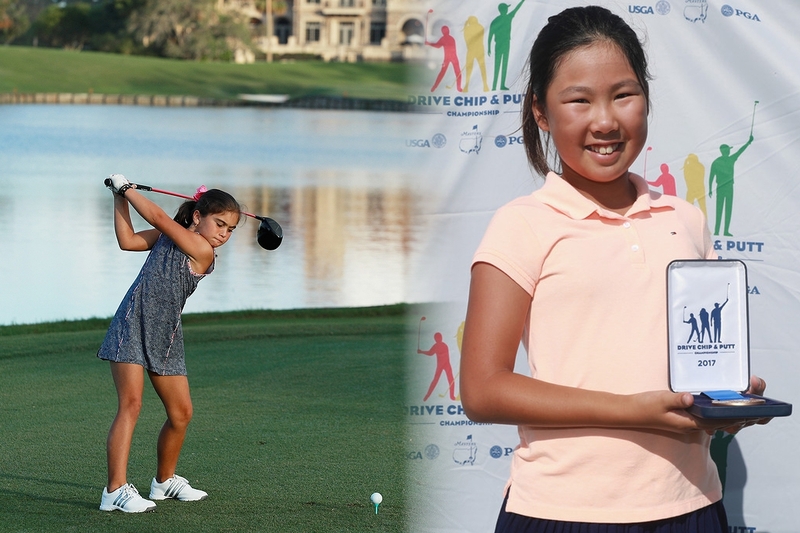 Two south Florida juniors qualified for the Drive, Chip and Putt Championship finals: Jensi Krampel and Gloria Nip. Jensi Krampel of Naples qualified in the Girls 7-9 division. She scored 120 points and was 30 points ahead of her nearest competitor. Gloria Nip of Port Saint Lucie qualified in the Girls 10-11 division. She scored 152 points, 39 ahead of the 2nd place contestant. Gloria competed in the 2014 Drive, Chip and Putt Championship. Good luck in April to Jensi and Gloria!